Located 14 kilometers from Playa del Carmen, Puerto Aventuras is a gated community with marina and golf course. 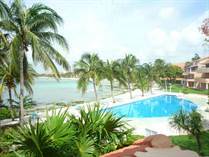 Puerto Aventuras is a very quiet place where mostly families and retired people live. 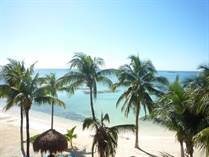 There are lots of, Puerto Aventuras condos, houses and some restaurants and cafes with beautiful water views. The main attraction is the Marina where numerous ships berth, being the biggest marina in the Riviera Maya and the perfect place to have your boat in front of your property. Puerto Aventuras real estate has many different options to offer, a simple condo close to the marina and golf course, a spacious condo or house with marina views and boat slip, oceanfront luxury condo or one of the most beautiful beachfront houses for sale in the Riviera Maya. "Reduced from $599K! Gorgeous ocean view! " Between Playa del Carmen and Akumal you will find the gated golf course community of Puerto Aventuras. Centered around the marina, this quiet and peaceful community is an amazing place to retire, great for families or to spend your winter in paradise. The marina features the perfect amount of restaurants, offering different cuisines like Italian, Mexican, and even Barbecue. Something for everyone's taste, enjoy a gellato after dinner or spend your morning conversing with friend at the coffee shops. The heart of Puerto Aventuras, the marina also has shops for souvenirs, clothing stores and an art gallery. Book an all day fishing excursion, a day out on the catamaran with friends, or dive one of the amazing reefs, you will love the small town feel of Puerto Aventuras. A large supermarket just outside the gates has everything you need or venture just 20 minutes north to Playa del Carmen. A great option for those interested in real estate in Mexico; with Puerto Aventuras condos for sale, beautiful homes located on the golf course and a quaint shopping area, there are many different reasons why you should take a look at Puerto Aventuras.